You may have seen doorbell camera videos of porch pirates stealing deliveries from front steps, and we've all had checks or letters get lost in the mail and never arrive. But now there's a new free service from the US Postal Service that could reduce the risk of those losses because it lets you know what mail will be arriving tomorrow. 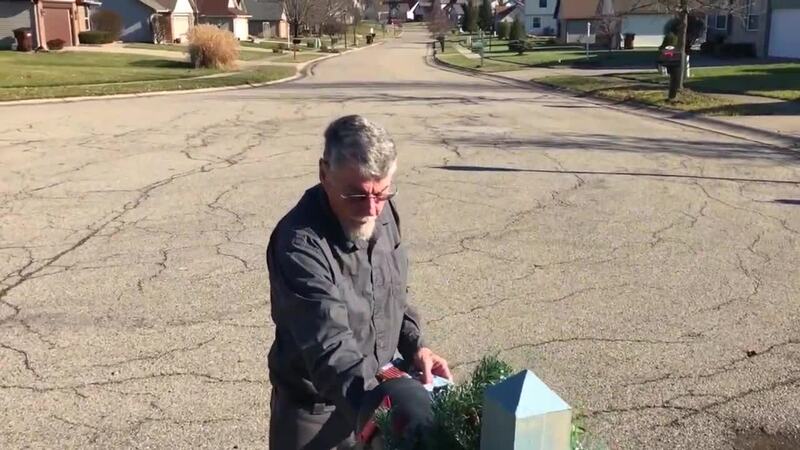 Jim and Ann Cook have had mail delivery issues at their home for months. Everyday, they would wonder if anything would be missing, after several important letters failed to show up. "I had a lawyer mail me a check for $200 that I still haven't received, " Jim Cook said. Other USPS customers tell us similar stories. Among them, Rena Giselle, who a few weeks ago said her son's gift from Grandma never arrived. "Family members and friends like to send cash to my son through the mail," Giselle said, "and this year they are not coming through." Unlike FedEx, UPS, or even the Postal Service's Express Mail, there's been no way to know exactly when an important letter is going to show up at your front door, until recently. That has all changed with the USPS "Informed Delivery" service. "We just get an email, it comes every day, and it has pictures of what we are going to get," Jim Cook said. Each morning, the Cooks receive an email showing a scanned photo of all the mail heading their way the next 24 hours. Much of it is junk mail, but occasionally an important letter from their bank or attorney shows up in the scan. Informed Delivery lets them know when a check is coming so they can watch for it. Best of all, it is a free service: all you have to do is sign up at the USPS website. In case you were wondering, it does not cost taxpayers much at all, since the post office has already been scanning processed mail for years. As for that lawyer's check the Cooks were waiting for, the email scan was proof the check had been mailed but was lost or stolen, so they were easily able to ask for a replacement. "If you are expecting anything important, I would say yes, it's a good thing to have," Ann Cook said. Even if you don't think you'll use this service, it might be a good idea to sign up, because police say scammers are signing up for some homeowners before they do, in some cases. The thieves are now getting emails showing that family's mail before it arrives. So give it a try, so you see your upcoming deliveries, and you don't waste your money.